Once you start down the road of home made mac and cheese, there’s no going back. It’s creamy, it’s cheesy- it’s pretty much unforgettable. And, in some circles, unforgivable if you don’t go for it. Seriously. I promise you a creamy, home-made mac and cheese is so much closer than you think. This version is so great, it’s good all by itself. Scratch that, it’s ah-mazing allllllll by its durn self. Like you will struggle not to eat it out of the pot by the spoonful. Doesn’t matter that you’re shaking your head and saying ‘Nope, not me,’ right now. That iron will and portion control will crumble in the face of a bowl of this pasta hugged snug in awesome-sauce. But, BUT, but– it gets even better my friends. 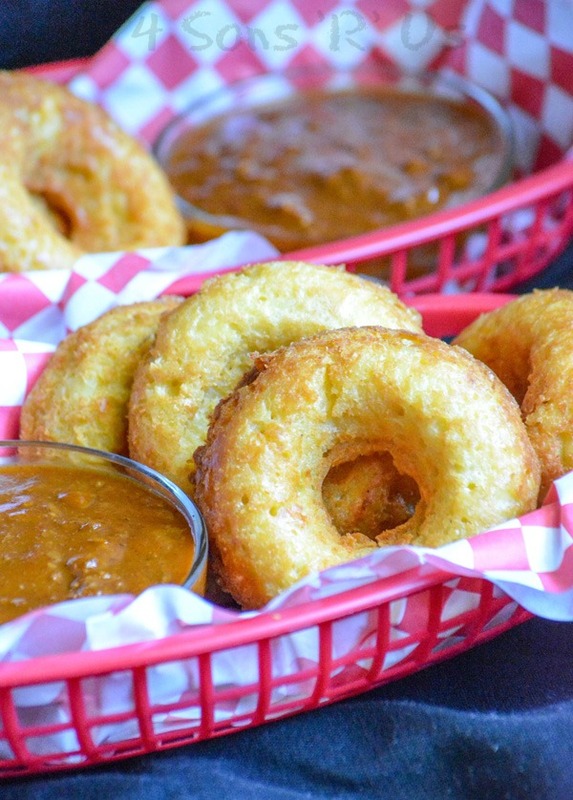 Have you heard of fried mac and cheese? It’s a real thing. Google it. It too is amazing– all by it’s durn self. The answer is never, mac and cheese is always amazing. Y’all know me though, I couldn’t leave well enough alone. I couldn’t let it be. I had to push the cheesy pasta boundaries and see what more there was to be eaten out there. Boy did I find it though, in the form of Macaroni And Cheese Donuts. The best, most creamy macaroni and cheese features a special blend of cheeses, including smoked gouda and sharp cheddar with a dash of secret ingredient- dried mustard. 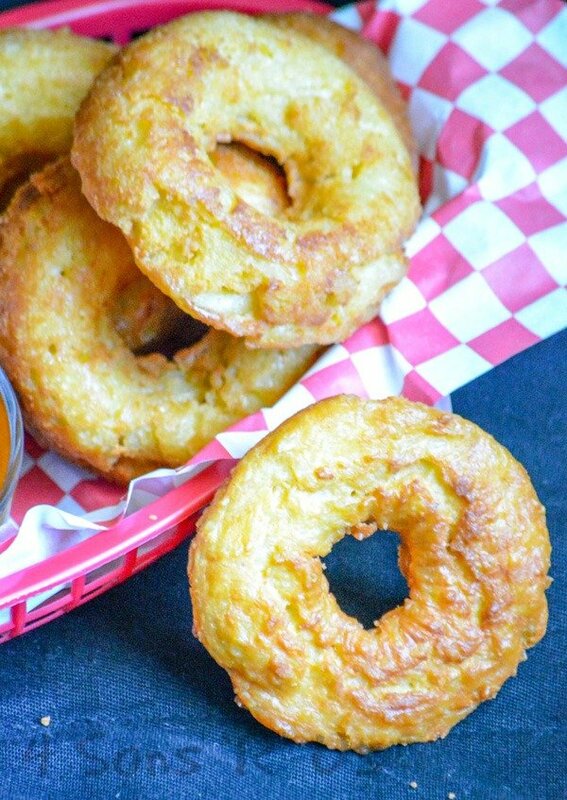 Chilled, then just a tad blended, macaroni and cheese is poured into a donut tin and baked up into puffy donuts with the world’s best surprise inside. 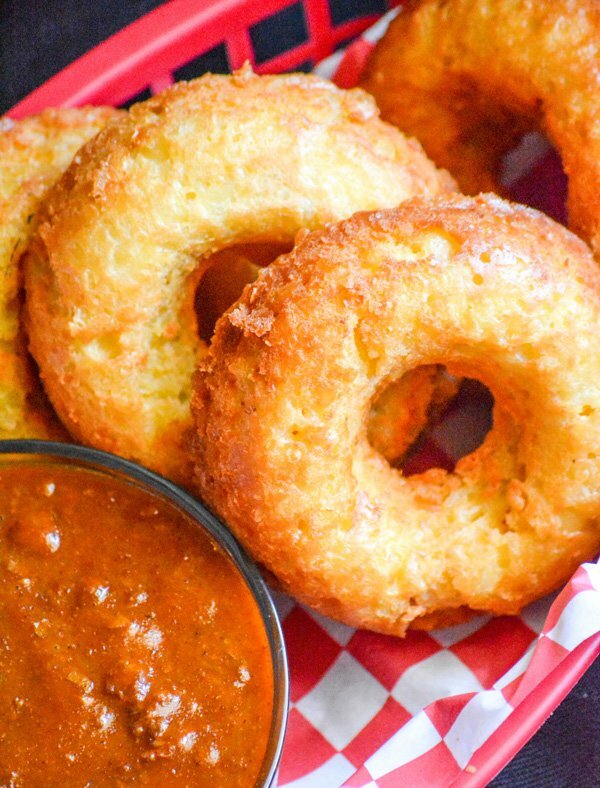 Served with a side of warm chili for dipping, these Macaroni And Cheese Donuts are a savory, dip-able finger food that begs to be eaten and enjoyed. 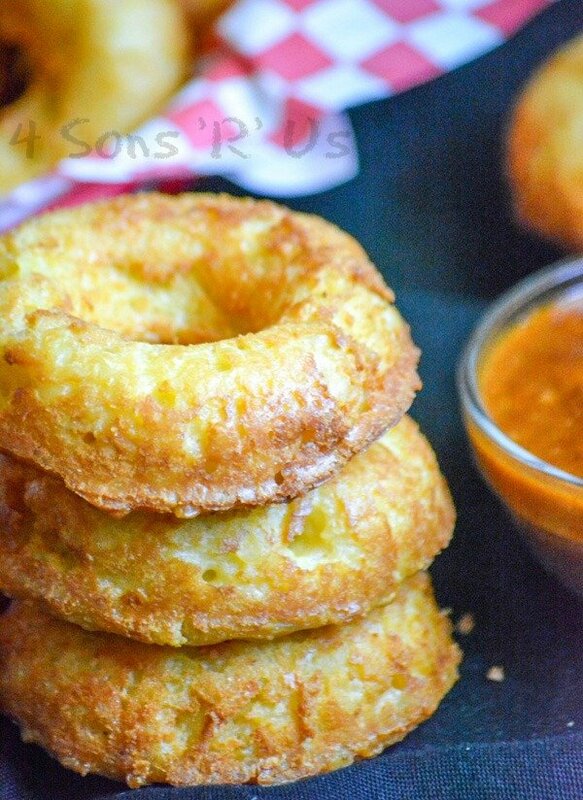 A savory donut that has a yummy surprise inside-- one of your favorite comfort foods, creamy mac and cheese. In a large skillet, over medium heat, melt the butter. Whisk in the flour and dry mustard, and whisk constantly while the flour bubbles for a minute-- to let the flour taste cook out. Slowly stir in the half and half, about a quarter cup at a time, letting the mixture come together and thicken completely in between each addition. Let the cream sauce cook, stirring occasionally, until very thick. Reduce the heat to low. Stir in the egg until the sauce is smooth and it's completely incorporated. Stir in the cheese, until completely melted and incorporated into the sauce. Season with salt & pepper, to taste. Pour the pasta into the sauce and carefully toss until evenly combined. Put the cooked mac and cheese in a sealed tupperware dish and refrigerate until completely chilled, about 2-4 hours. Seriously, you want it COLD. Fit your food processor with the cutting blade, add the 3 cups of mac to the bowl. Crack and add the eggs, one at a time. Blend the macaroni, at medium speed, for about two minutes. Prepare a donut pan by spraying each cavity lightly with non-stick cooking spray. Fill each cavity with mac and cheese, keeping in mind to keep the hole clear. Use the back of a spoon to slightly pat it down and away from the center- until the pan is full. Bake at 350 degrees for 20 minutes, just until the donuts are crisp and firm enough to hold their shape. Remove the donuts from the oven, let them cool for 2-3 minutes, before removing them from the pan and let them finish completely cooling on a wire rack. In a dutch oven, preheat the oven to 350 degrees. 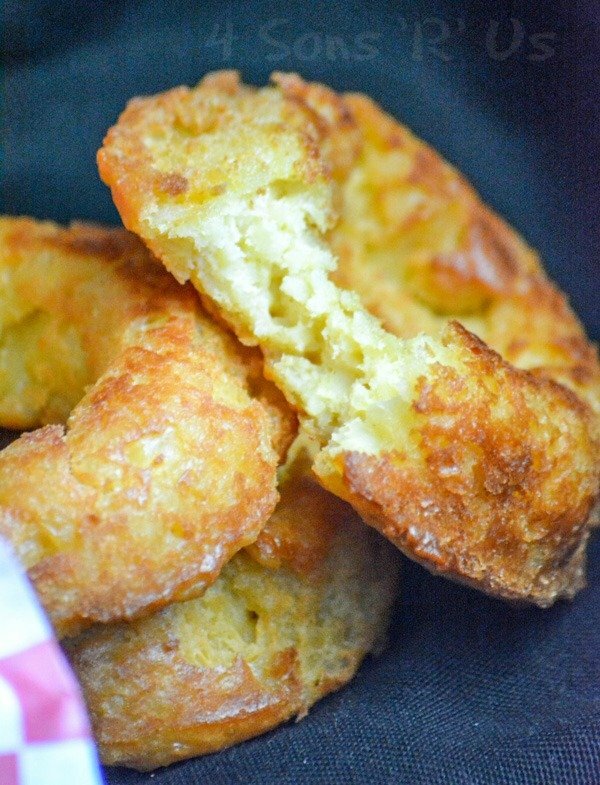 Fry the donuts for 7-8 minutes, flipping in between, until they're golden brown and crisp on the outside. 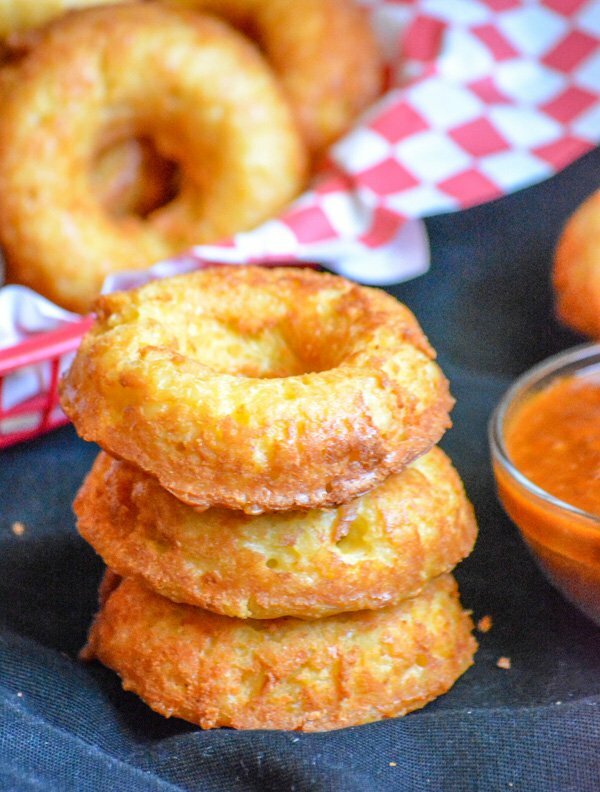 Use a pair of tongs to remove the cooked donuts from the oil to a plate lined with paper towels to soak up any excess grease. 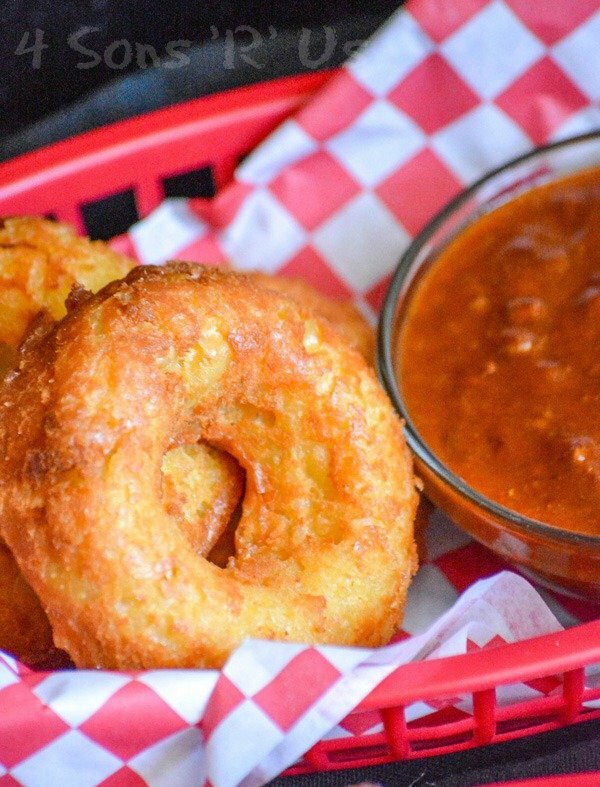 Serve the donuts warm, with a side of warm chili for dipping. Ketchup and cheese sauce also pair great for dipping sauces.